Learn all about turning services into APIs: the differences in services and APIs, and how to accomplish this feat with Mulesoft. It is very common these days for organizations to have developed a large set of internal services for which there is a desire to publish these as APIs. As an organization takes its first steps into APIs - the use of API gateways as a proxy represents a low friction progression which addresses the first 3 of the primary differences. The fourth typically requires an increased organisational capability anyway, and in this manner, they can assist as an educational exercise towards this goal. Mulesoft's Anypoint Platform represents one of the tools that can be used in this area - which for the remainder of this article I will show the ease of converting an existing HTTP-based service into a consumable API. The key thing we need to do here is "Configure endpoint" - on the right middle. 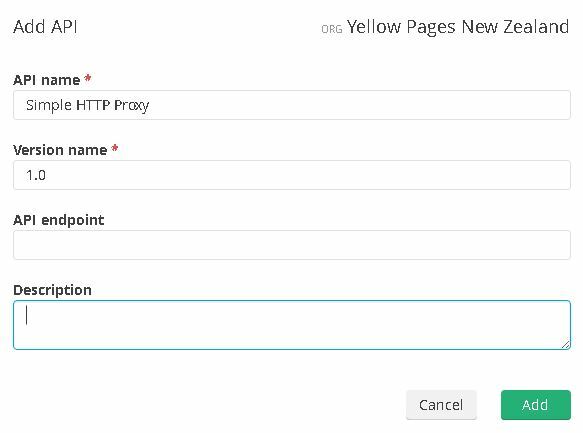 As you start on the journey - the simplest form of proxy to deploy is an "HTTP URL" proxy. Basically, this acts the same as a proxy for a website - every request to the gateway will be passed on to the backend service without any direct transformations or routing being applied. More importantly, the gateway itself won't be looking to enforce the contract/definition of the API. A RAML proxy is much more powerful in this respect - but involves the extra steps of understanding and writing the RAML which can be a daunting prospect when just starting. The implementation URI is the fully qualified URL of the service you are wrapping - which must be callable from the Gateway instance - but does not need to be callable (or even referenceable) by the end API client. 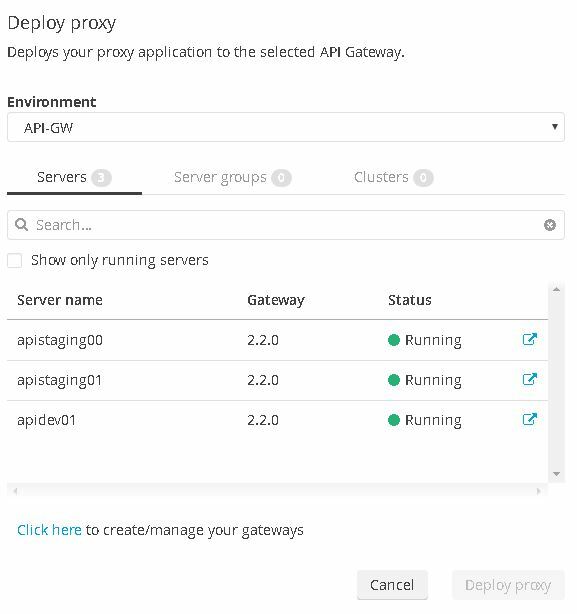 The path is the other important setting here - if you're hosting more than one API on your Gateway (and there're not many instances where this is likely to be a good idea) - this is how you're going to differentiate between your instances. The beauty of this is that you can apply the majority of these policies on the fly - just by clicking "Apply". In some cases - like CORS - this will give you a modal in which you can configure the policy specific settings, and then you're done. This is especially useful in an environment where your existing services are implemented in a variety of different languages, frameworks or even COTS. 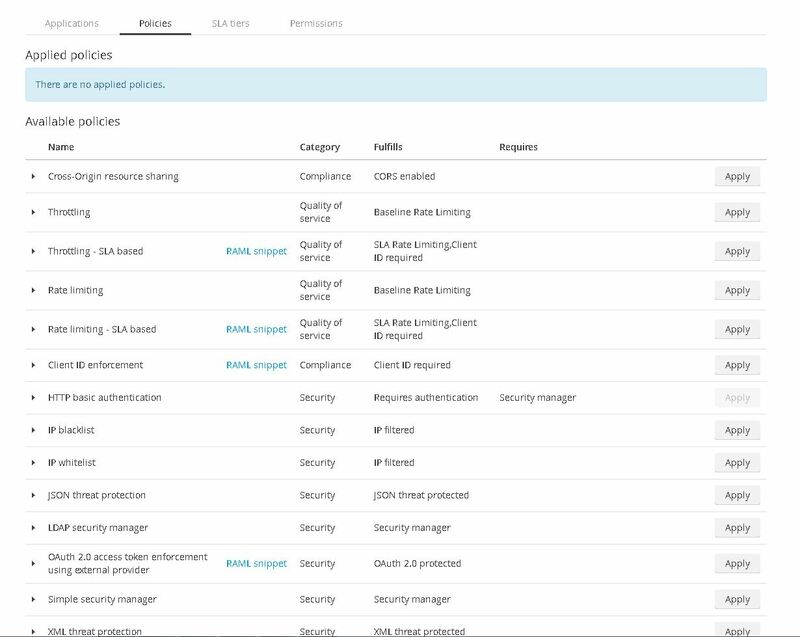 You can now apply and manage uniform security and access control (including API Keys etc) all from the same place, and just as importantly monitor usage! 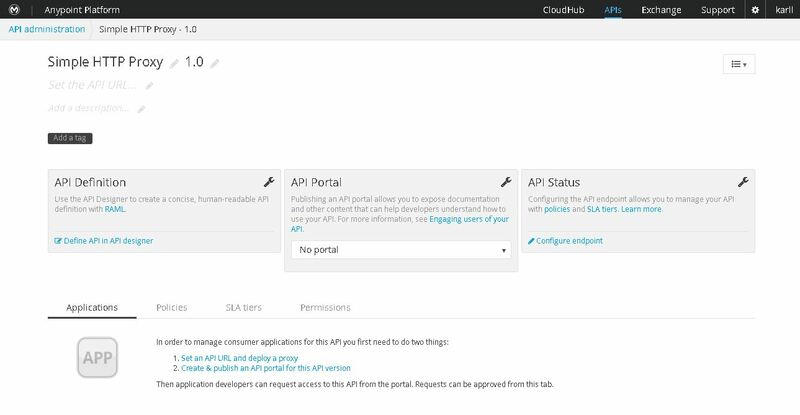 The link at the top right "Analytics" will give you across API visibility on a request by request basis - enabling that critical aspect of API lifecycle management to occur. Please feel free to comment - in particular with respect to areas of this topic in which you would most like to see expansion in further posts.